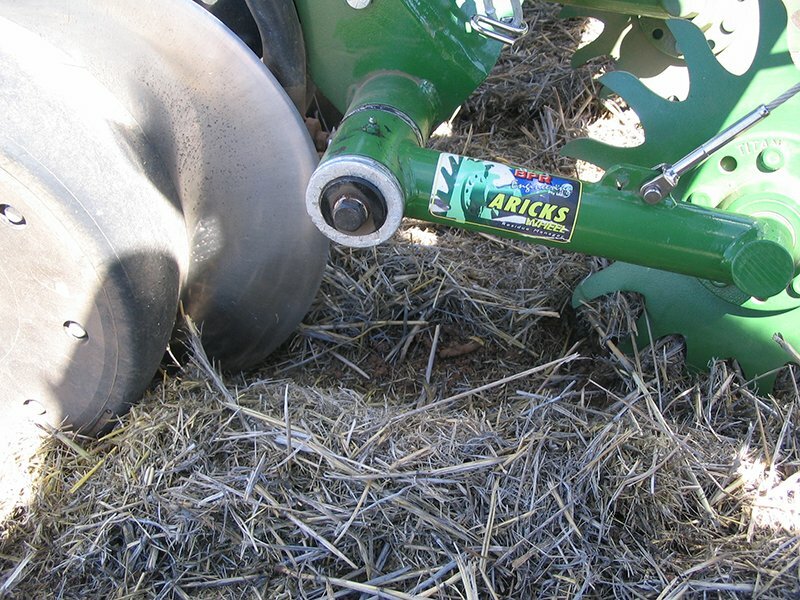 We’re pleased to offer another top-notch product from Aricks of Australia, where ruggedness is taken to an extreme (check out our Aricks bushing kits for these drills – wonderful product). 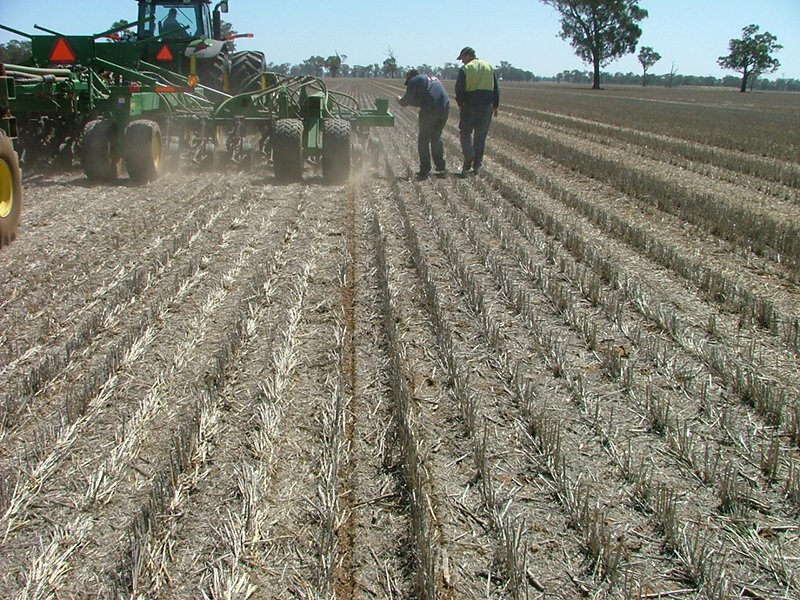 These row cleaners have a proven, 10-year track record in Australia, and we’re proud to be the exclusive distributor in North America. 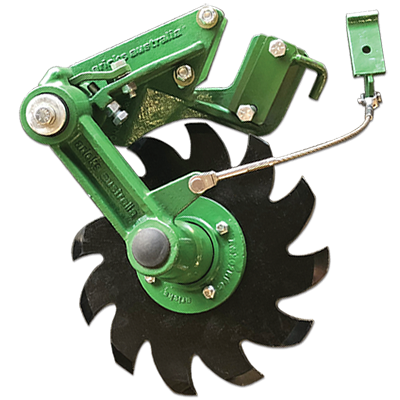 While sharper opener blades and waiting for the mulch to dry each morning can take you a long way in preventing hairpinning (as can our UniForce hydraulic downforce system), a row cleaner helps you out if the mulch is simply too thick to cut, or waiting for it to dry isn’t practical. Also, in very cold climates, a bit of soil warming from clearing some mulch out of the row can be beneficial. 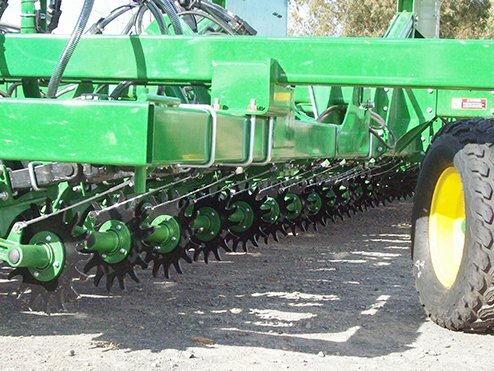 Aricks row cleaners are also a big advantage when seeding very shallow, such as alfalfa or canola, where it’s difficult to make the opener blades cut the residue (18-inch blades cut best when seeding 2.5 – 3″ deep). Not suitable for use in corn stalks — they must be locked up. 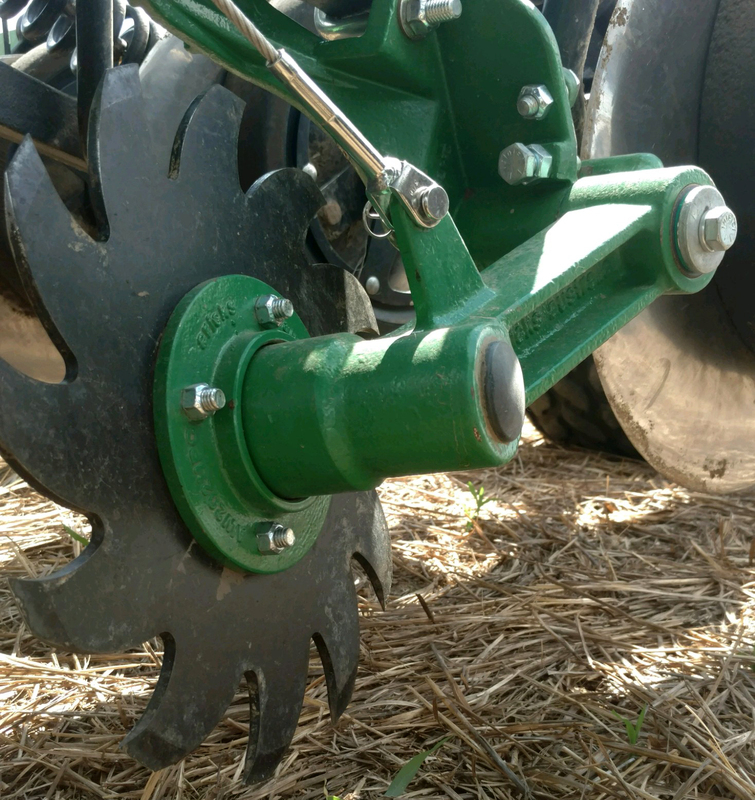 They do handle hemp, field pea, soybean, faba bean and flax residue without much issue, as well as stripper-harvested cereals. A jacker bolt allows control of the max down-stroke. When not needed, the cleaner is easily pinned up. Exapta has a small quantity in stock, but otherwise it takes 8 – 9 wks to get these from Australia and shipped back out to North American customers. 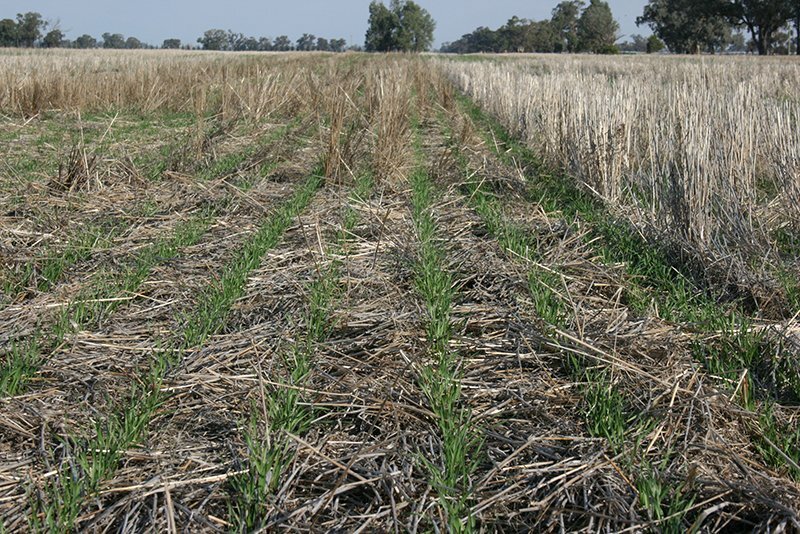 One Aricks wheel was used: see center row for obvious improved germination. 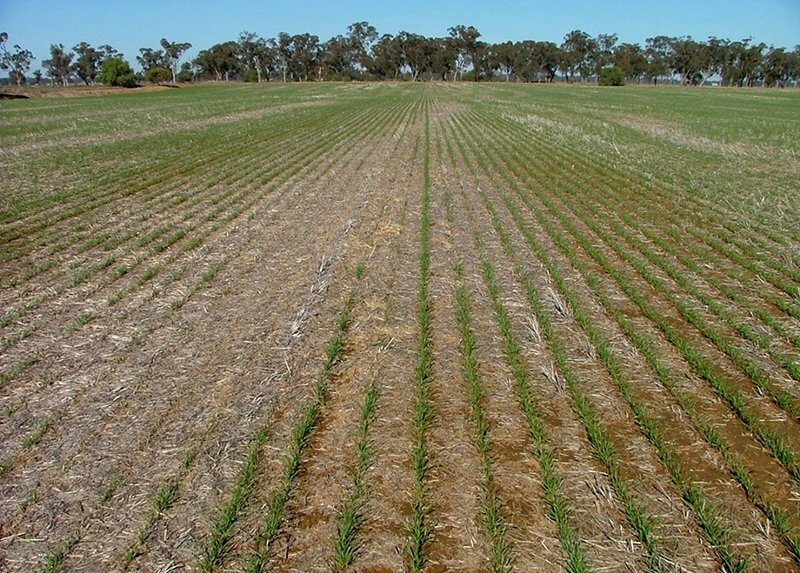 Left side is without Aricks row cleaners. Right side with with Aricks row cleaner wheels. 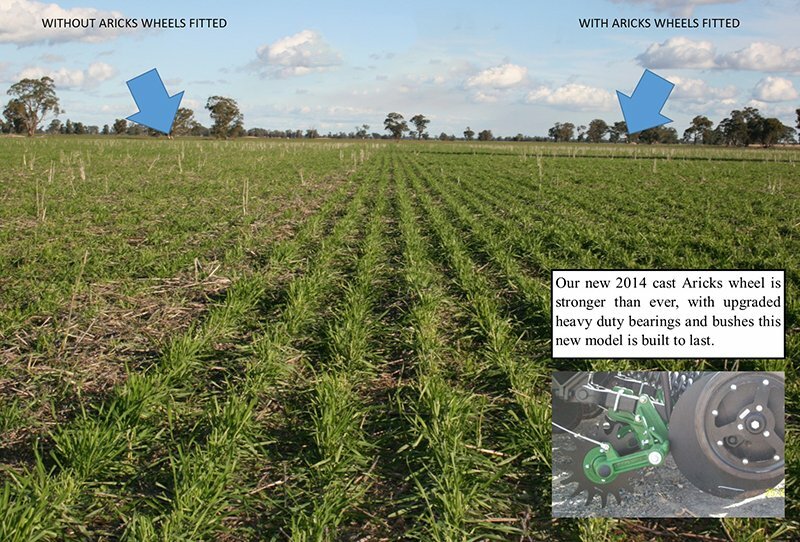 Same field, adjacent passes: With a full set of Aricks wheels in use in RH pic, and without aricks wheels in LH (above). You can see the same landmarks in both photos. 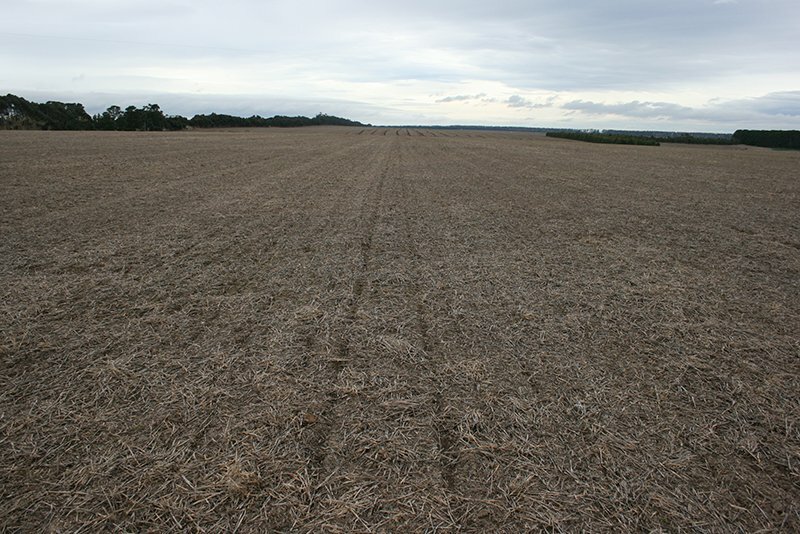 Two rows in center of photo were cleared with the Aricks row cleaner. One Aricks residue manager in use (outside row of rear rank). Perfect clearing through an incredible layer of thatch, but no soil is disturbed. 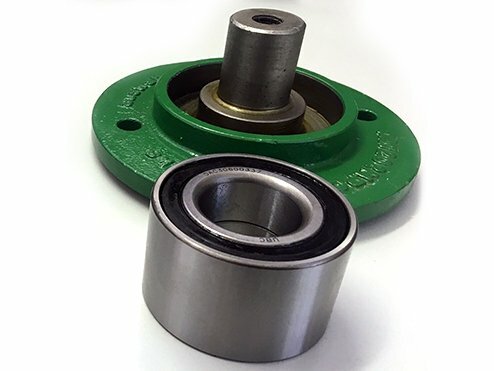 Note: This was an early version — the mounting & arm are now heavy-duty castings and the bearing has been upsized — extremely robust. These have been on the market for 10 years in Australia! The sharpest blade available for these drills. Wear-life is 20% longer than Osmundson. For even longer wear-life than Ingersoll-Canada blades, see our Forges de Niaux 200 blades. 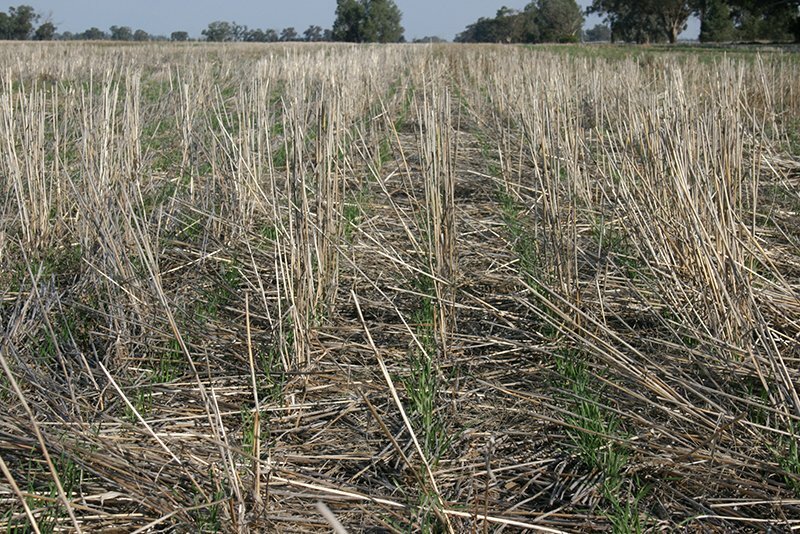 Aricks row cleaners in sorghum stubble in Australia.